Superman's secret identity has been revealed to the world and Clark Kent's life is falling apart. A new Royal Flush gang is out for his head and a collective of his worst enemies have taken the staff of The Daily Planet hostage! And the police are more interested in arresting him than they are in helping Superman save lives! I want to believe that Gene Luen Yang is building to something grand with this story but I'm just not seeing it anymore. 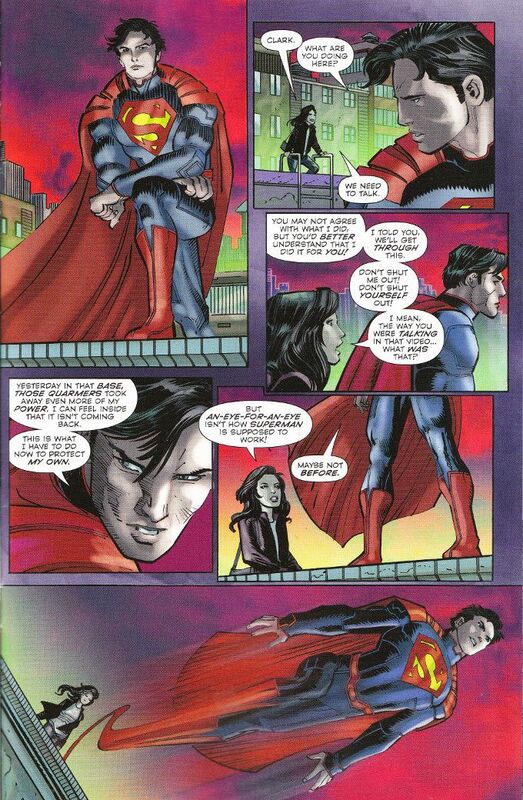 The speed with which people turn on Clark Kent seems more appropriate to a story set in the Marvel Universe. I defended the idea that Lois Lane could ever see fit to betray Clark's trust in the face of a greater good but I'm hard pressed to believe Perry White would attack Clark as he does here. While one might argue that White's commitment to The Truth as a newsman could lead him to see any kind of lying to your editor as a betrayal of the job of a journalist, it still seems a bit incongruous for him to chew out Superman for endangering people and thinking he could protect them. 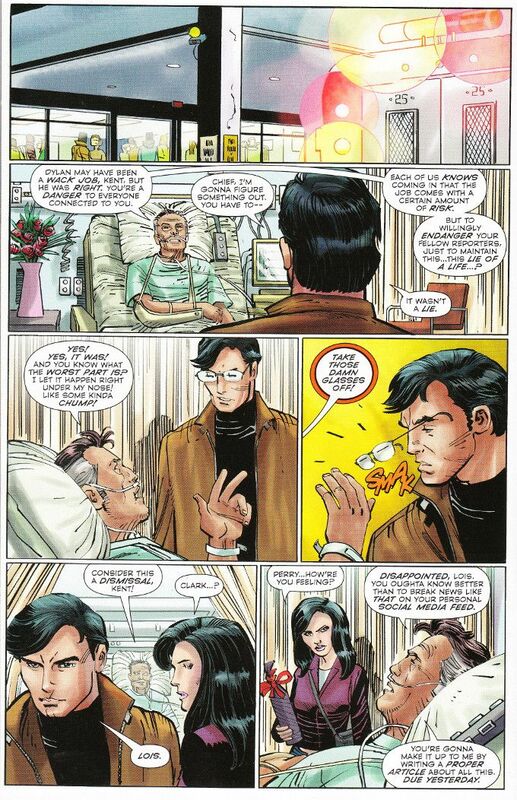 Nearly as incongruous as Clark, in the fact of such hostility, declaring he shall inflict a thousand-times as much pain on anyone who tries to hurt his friends. It's oddly fitting that John Romita Jr. should be the artist on this book because this sure feels like a Spider-Man story rather than a Superman one. Romita and his usual inker Klaus Janson are in fine form. And the colors by Dean White and Leonardo Olea are skilfully applied, with no indication that there is more than one color artist at work.